And, ALL SELF-STUDY COURSES come with LIFETIME ACCESS. So, not only do YOU GET TO DECIDE WHEN you save your license, you get to access the information and resources in the course whenever you want AFTER you complete the course. Think of these as seminar replacements. Get 3-5 clock hours (CPDUs, PDUs, or many other acronyms). Interact with an instructor and the course content over a few weeks allowing you to drill deeper into the content and earn 15 clock hours. Take the facilitated courses to the next level with additional depth and continuing education graduate credits. All Professional Learning Board courses are available online whenever you want to access them. No need to show up for a conference call, webinar or chat session at a scheduled time. Plus, we keep a transcript of all of the courses you complete at Professional Learning Board. We also store an electronic copy of your certificates of completion so you can download or print your certificate whenever you need them. Signing up for a Professional Learning Board course is easy… click here to see the PLB course catalog. 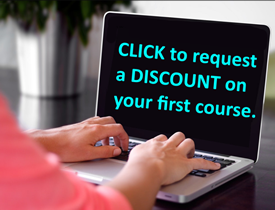 Professional Learning Board also offers course packages so you can get multiple related courses together and SAVE. Every course comes with a FREE MEMBERSHIP in the Professional Learning Board community through which you will receive the PLB newsletter full of interesting stories, teaching tips, free resources and special discount offers on our courses. Ready to get started? Click here to sign-up today.